Your OYO training playset comes with a team logo field, that is digitally printed so it will hold up to the rigors of hard training, the logo won't scratch or wear off. You'll also get a field goal practice area to work on your minifigures' kicking skills. 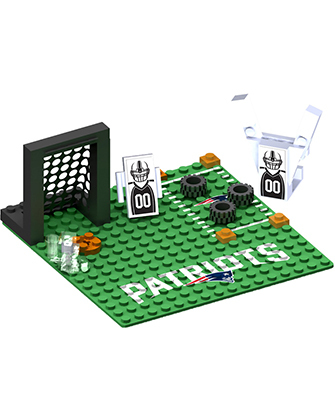 Four tires are included to run drills with your minifigures, plus posts to run around, and a throwing accuracy hoop. 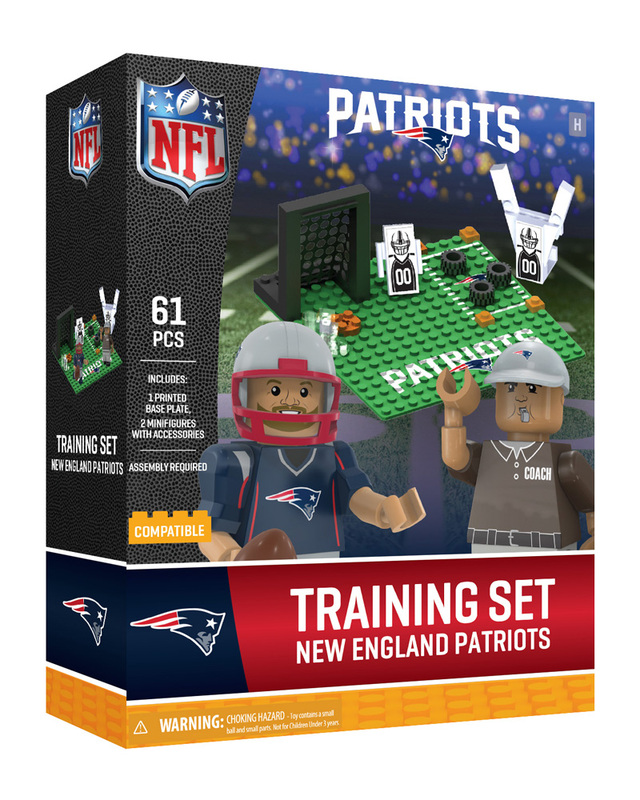 Your included NFL coach can help with your defense and push your team to greater success. To #playlikeapro, you have to #trainlikeapro! 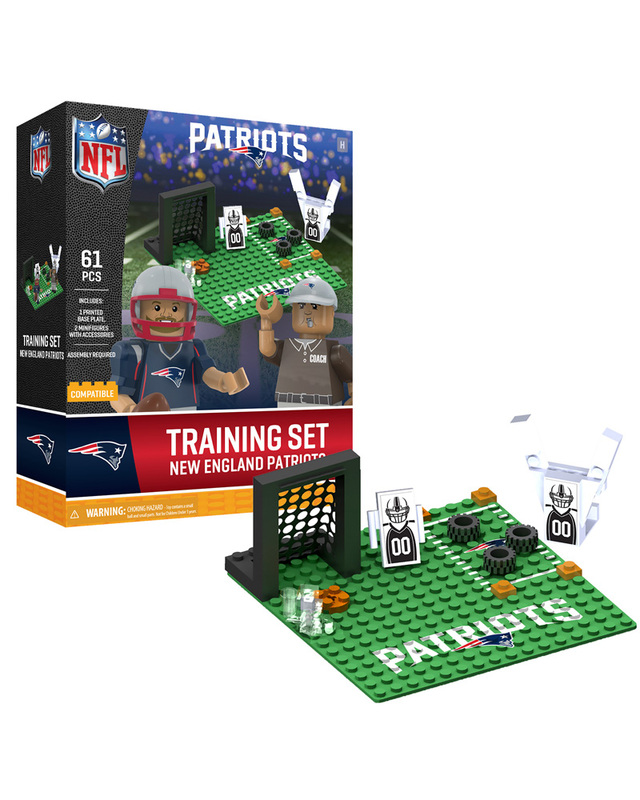 A great gift box item for the biggest (and littlest) fan! Made in the USA of globally sourced parts.